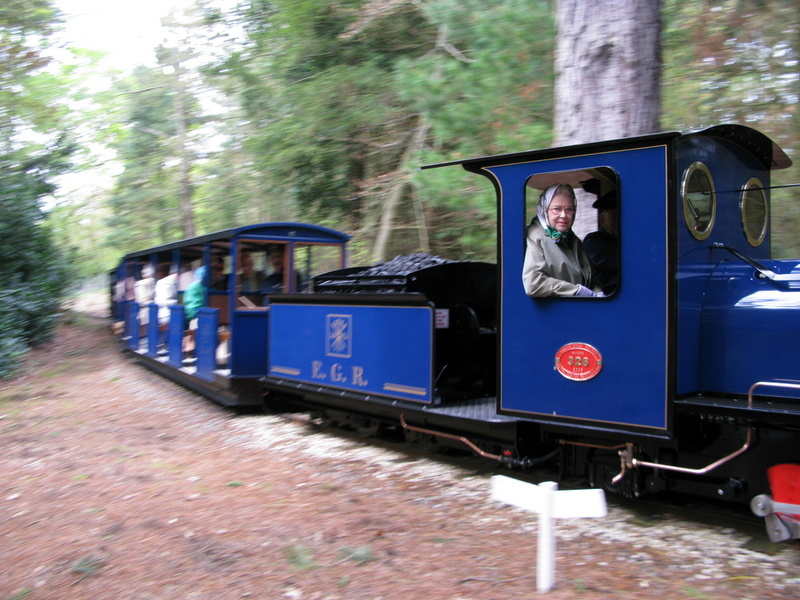 Mr Leo’s original plan for an Exbury 2ft-gauge line failed to win planning approval in 1994 and an appeal was lost. However, a year later a visit by Mr Leo to Ffestiniog director Michael Schumann’s private 7 1/4in-gauge railway in Norfolk reaffirmed his desire to build a railway at Exbury. On Mr Schumann’s advice he consulted Trevor Stirland at Devon’s Exmoor Steam Railway. Sue Sutherland Landscape Architects and Southern Planning Practice had been appointed in March 1999, with a brief to design a circular route with a halt mid way to enable the very young, elderly and disabled to enjoy the gardens, whilst providing an exciting ride with appeal for all. A fresh planning application for a railway on ‘Exmoor principles’ – 12 1/4in-gauge, with minimal intrusion in the landscape and a curved route – was subsequently submitted to the New Forest District Council. The council, which had a policy of not supporting proposals for new tourist attractions in the Forest, gave consent in January 2000, with the proviso that travellers on the railway must be visitors to the Gardens. The line is therefore seen as an adjunct to the Gardens, with the important aim of increasing accessibility to some of its furthest reaches. Whilst the Rothschilds had financed the construction of many railways around the world in the 19th and 20th centuries, this was to be the first one funded in the UK! Detailed planning began under the direction of Edingburgh-based architect Sir James Dunbar-Nesmith. The design and creation of a completely new garden involved the reclamation of a former landfill site, with great care being taken in designing the route to minimise intrusion into the calm tranquil character of the existing gardens while also allowing glimpses of many of it’s well known and best loved features. Sir James also designed Exbury Central Station, based on the Scottish station of Aviemore, and – as an example of attention to detail – the station’s ornamental roof supports, incorporating the Rothschilds’ five-arrow coat of arms, were specially cast by the Ballantine Boness Iron Company, one of the last ironfounders in Britain. The first sod for the railway was cut on 11 September 2000, and an army of workers were kept busy over the wettest winter in 75 years – at one stage the stock shed was 6ft under water. The official opening of the 1 1/4 mile line was performed at a topping-out ceremony by Mr Leo on 3 August 2001, with the public opening taking place eight days later. The construction of ‘The Rhododendron Line’ has been recorded in the DVD “The Dream That Became Steam”. Visitors to the Gardens can also see this story told in a walk-through exhibition in Exbury’s roomy Engine Shed (opened by Mr Michael Portillo in May 2010), which also features much of interest with posters and displays of railway memorabilia. 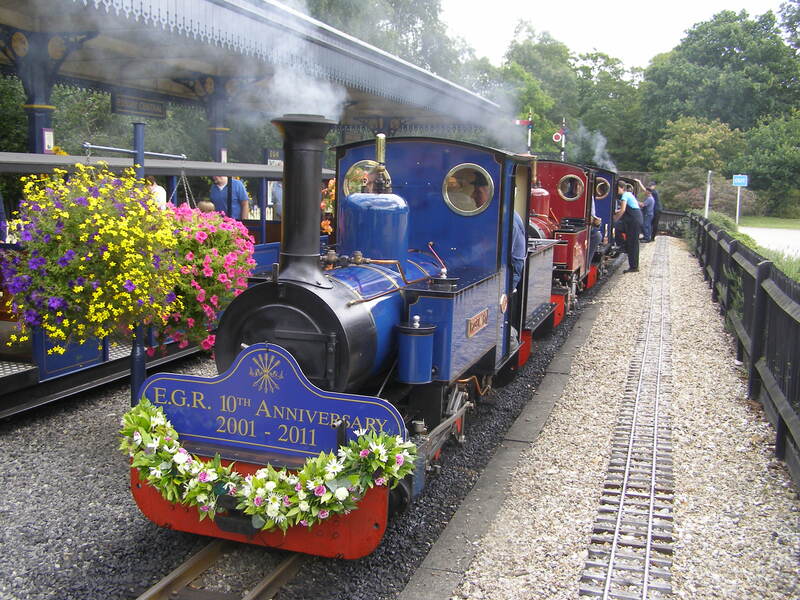 Exbury has been fortunate to welcome Her Majesty the Queen as a steam enthusiast, most recently in May 2008, when she named the newest Exbury locomotive “Mariloo”, after Mr. Leo’s mother. 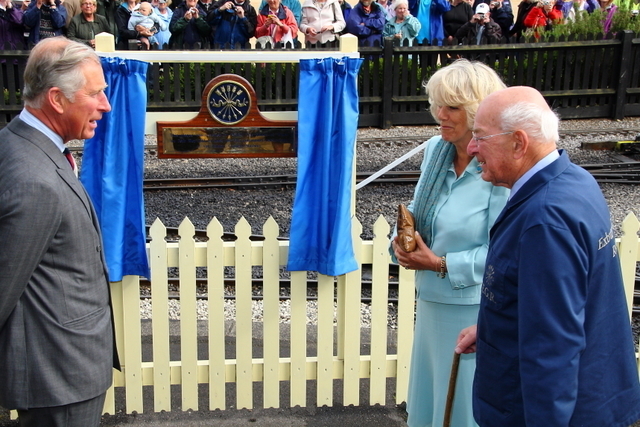 TRH The Prince of Wales and The Duchess of Cornwall visited in May 2011, helping to celebrate the railway’s 10th anniversary. During the 10 years of opening, over 560,000 passengers have travelled along the Rhododendron Line. 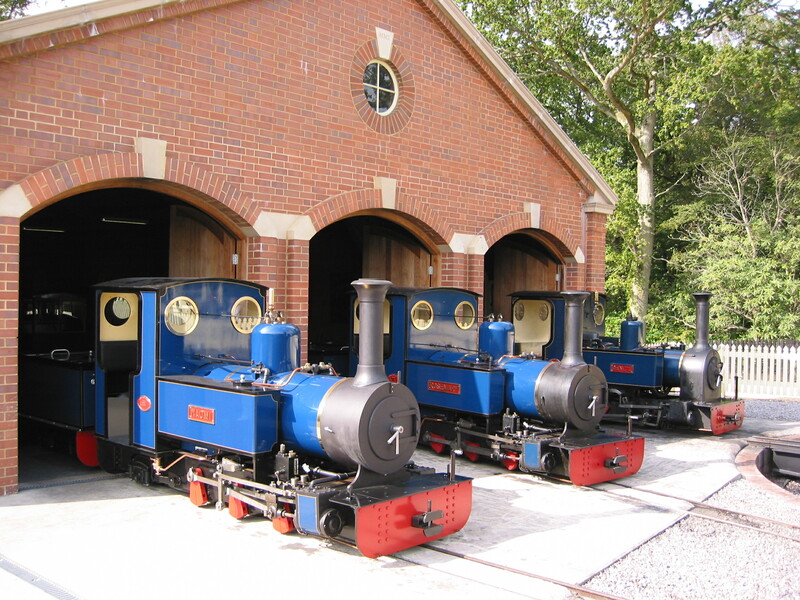 The railway is open whenever the gardens are open however entry to the gardens is required to access the trains. The gardens re-open on the 11th March 2018 and are then open every day until 4th November 2018. Gates open at 10am and the Gardens close at 5pm every day.